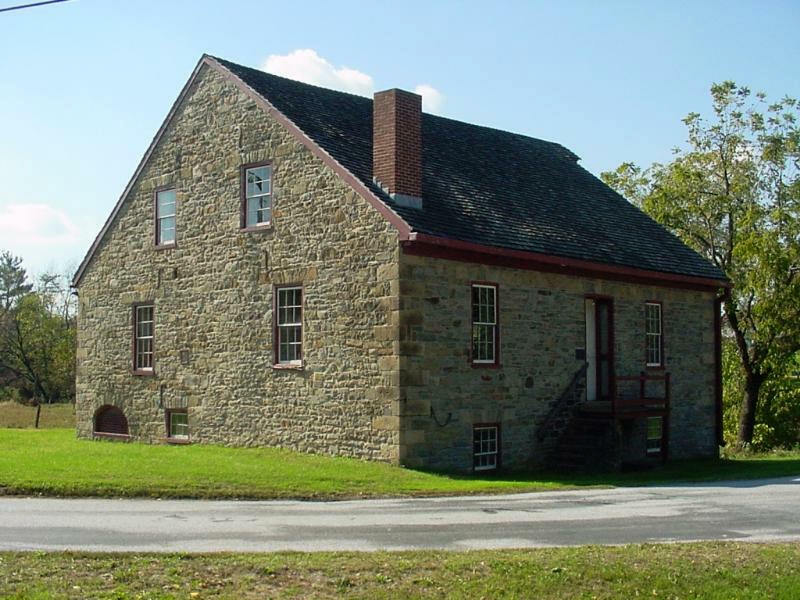 Swigart's Mill is a 2 story, front-gabled, stone mill that measures 45' long x 43' wide. 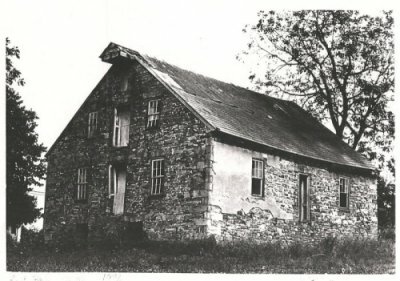 Swigart's Mill (also known as the Beaver Creek Mill) was built in 1794 for Abraham Swigart by John Nagle, a mason whose name is inscribed on the date stone on the West end of the wall near the "Martin's Box" ( an overhang from which a pulley and rope hoisted the bags of grain from the farmers wagons). of the mill. It is the only original mill on Beaver Creek still standing. Swigart's Mill was entered in the National Register of Historic Places in 1980. It was originally powered by water from the creek which turned the interior wooden water wheel. The original power in Swigart's Mill was a wooden over shot, a water wheel inside the mill. In 1890 a Rechard turbine was installed by William B. Feiser, a millwright, who had recently purchased the mill and remodeled it throughout. The Rechard turbine was made in York, Pennsylvania by the Codorus Iron Works and distributed through Baugher, Kurtz and Stewart. Today the mill has a working 13' Fitz Water Wheel made in Hanover, Pennsylvania. The water for the wheel is no longer supplied by the Beaver Creek, but can be pumped from an underground spring into the pit where the wheel is located. The grinding equipment was a four-run of stones. The mill ground feed, corn meal and flour. At an early date it sawed lumber as well. The entire operation was abandoned in 1920. All of the equipment was sold for scrap. Today the East Berlin Historical Preservation Society uses the mill to house and display local mill related artifacts. During the two hundred years since the Mill was built, it has had twenty-six owners. In 1920 operations at the Mill were abandoned and in 1976 it was purchased by the society. Much of the restoration work to this Mill was completed by volunteers. It is host to the annual Christmas Party and Strawberry Festival for members.